When I started the business of taking guests around on private tours through Berlin some 18 years ago, one piece of advice I got from colleagues at the time was to avoid two topics: religion and politics. 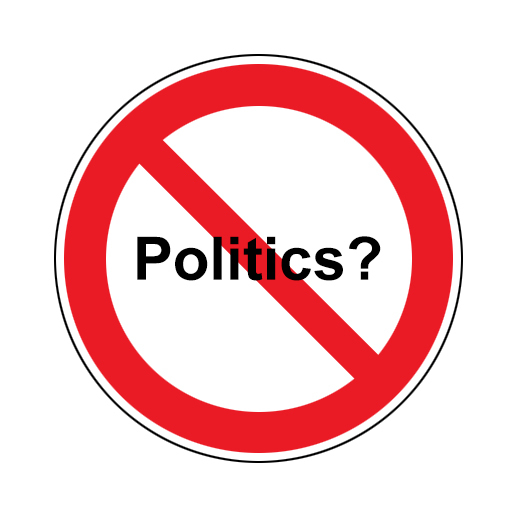 I soon found that while religion is indeed something that does not come up readily, politics is on many people’s everyday agenda. Moreover, most guests are interested in historical aspects of the city. I have even met quite a few who described themselves as history buffs. Now in a way, history is nothing but the condensed politics of the past. Whatever are the issues of today will be the history of tomorrow. It is the proximity that determines the emotions involved. Here is an example: A discussion on the implications of the Limes, the border fortifications the Roman Empire installed to ward off Germanic intrusions, can be lead in a relaxed and leisurely fashion with almost anyone interested. Talking about the Berlin Wall is exciting for those who witnessed its rise and fall in their lifetime, less for those born after the events. However, talking about the border fortifications in Israel or the current plans concerning the U.S.-Mexican border can get you into treacherous waters, too easily are hefty emotions aroused. I certainly do not go about politicizing on my tours or, even worse, proselytizing. These situations just come up. Suppose you are explaining the Berlin Wall and your guest asks you: “What do you think about the one we’re about to build?” As a guide, you can refuse to comment or in some other way avoid a stand. Well, over the years I’ve come to think that one of the reasons people prefer the private tour over organized versions is the direct encounter with someone with a different cultural background. Someone who sees the world from a different angle. Being able to ask a range of questions in a safe environment is what makes this type of arrangement so special. So avoiding a discussion brought up by the guests seemed and seems to me quite uncalled for. Of course with so many sensitivities on all sides, you need to be able to notice the reaction of your counterpart so that you can identify any possible irritation soon enough to act upon it. After all, the tour is to be an interesting as well as pleasurable experience for everyone. But I did want to tell you about the time I got in trouble. It was during the second Bush campaign (George W.). I picked up two couples from a cruise ship in Warnemünde for a tour of Berlin. We got along quite nicely until I cracked a little joke. You might remember Donald Rumsfeld’s distinction between old and new Europe. We had somehow gotten on that topic when I pointed out that, without “old Europe” America might still be a British colony – a reference to the French troops under Lafayette and the Prussian General von Steuben coming to the aid of the revolutionaries in the War of Independence. The remark was intended as a harmless banter. The two gentlemen however got rather vexed, accusing Germans of not understanding what was at stake. I was rather surprised by the unexpected vehemence of the reaction. Well, the ladies then apprised me of the fact that the entire cruise ship was thoroughly antagonized. I had to bring on all my diplomatic skill to relax the situation.